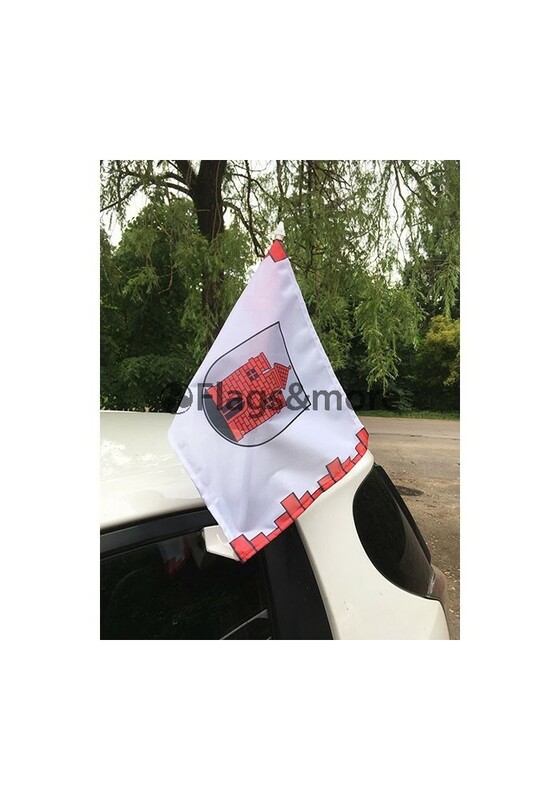 Custom Car flags with holder. 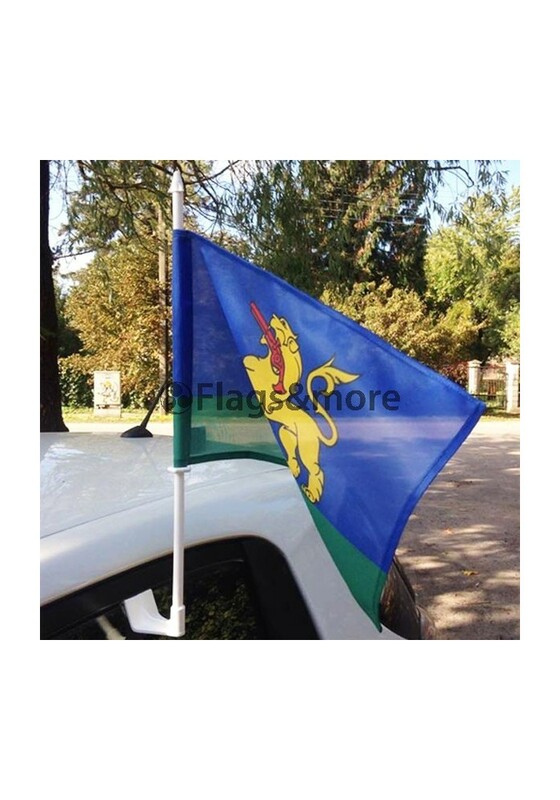 Order Custom Car Flags online! 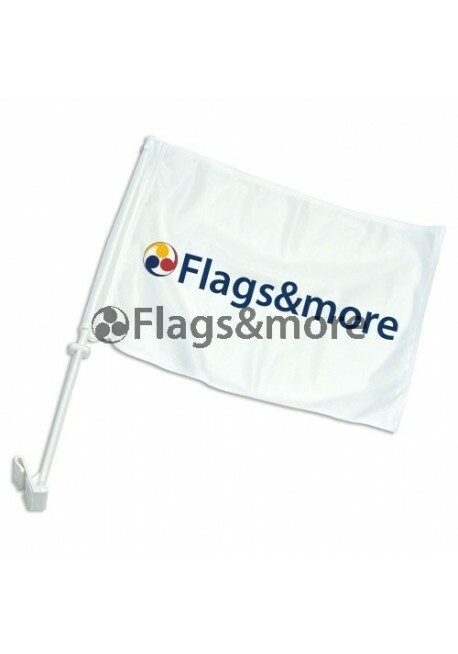 Custom Car Flag - it is a great representative and promotional tool. 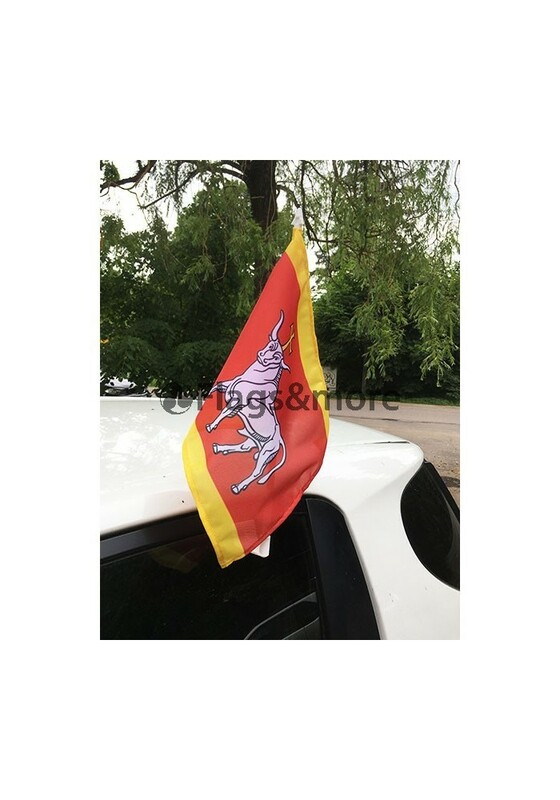 Perfect for businesses, organizations, brands, festivals, clubs, car forecourts, delivery services, team supporters and so on. 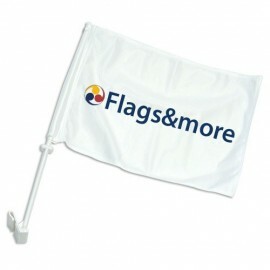 Car flags instatly catch the eye of passers by, that's why it helps to promote a brand or a service. 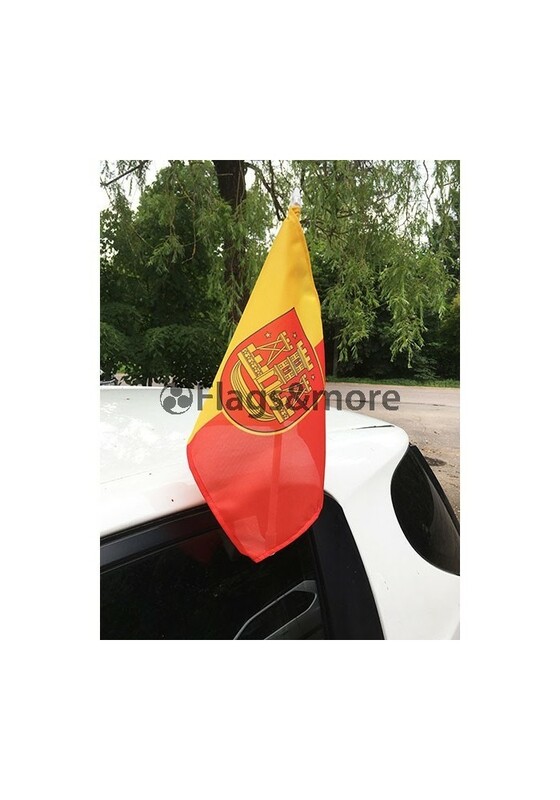 Together with the custom car flag, you will receive a car flag holder made of plastic. 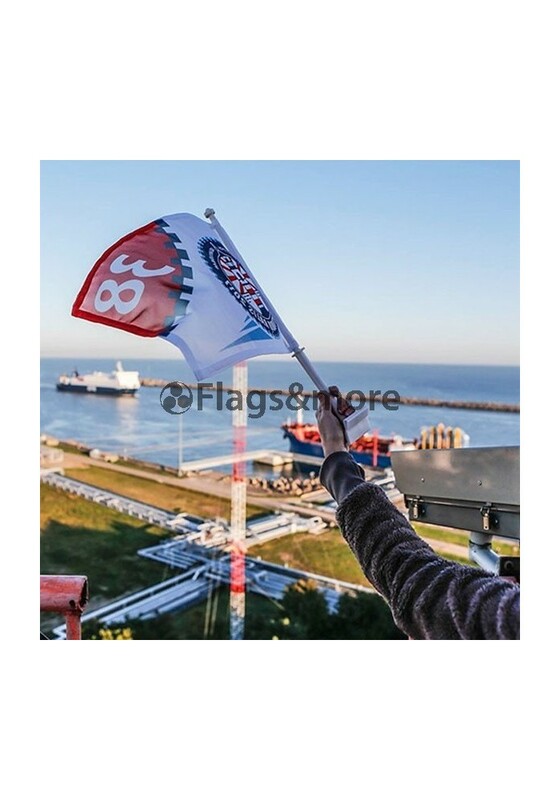 The flags themselves are 30 x 40 cm in size. 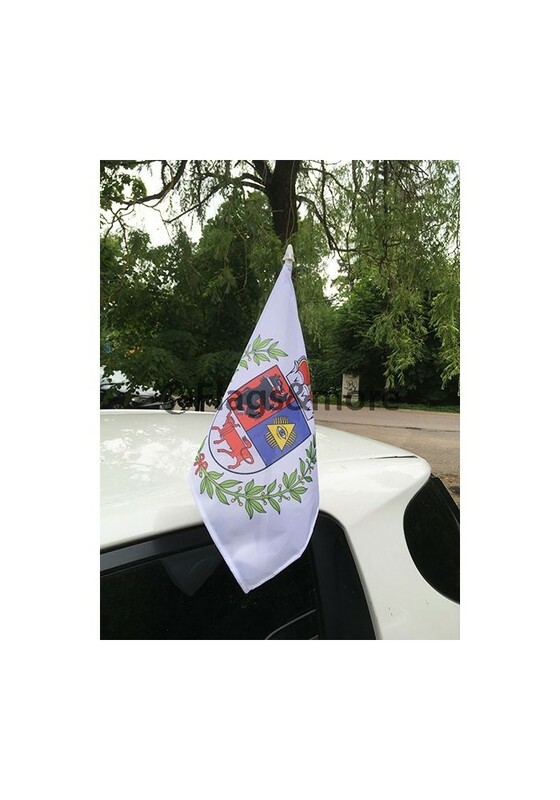 One side of the car flag will be with correct image, while the back of it will be with a mirror image. 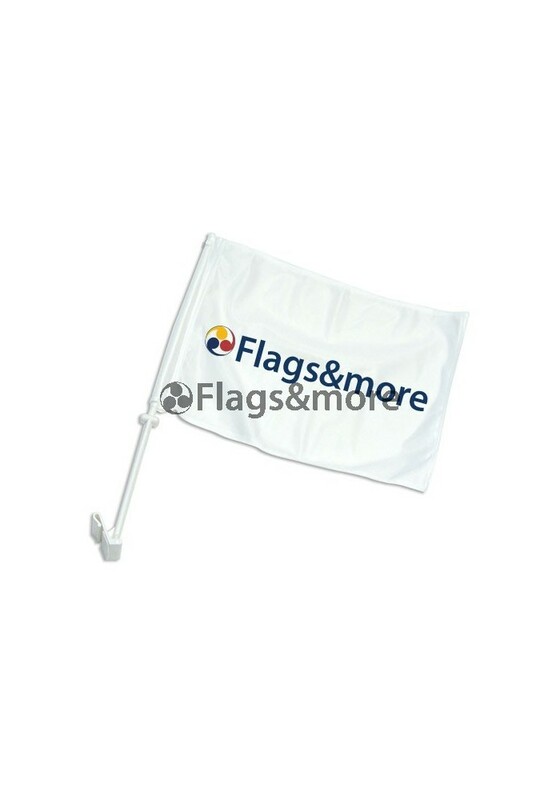 Suitable for Promotion equipment for businesses, services and products, brands, events, tournaments, fairs / exhibitions, sponsors, etc.